ALREADY HAVE A GIFT VOUCHER? REDEEM HERE! Select a 3, 6, or 12 month gift subscription to someone who can't get enough of all things beauty! It’s been said that it’s better to give than to receive. With that in mind, it’s never a bad time to send a loved one a GLOSSYBOX! The element of surprise is our forte and we love keeping our subscribers on-trend. With mother's day fast approaching on May 12th, treat your Mum to a GLOSSYBOX gift subscription which will be the perfect way to say thank you and show your appreciation. Running out of time to find the perfect gift? Or is there an unexpected guest arriving any minute? Don't worry! 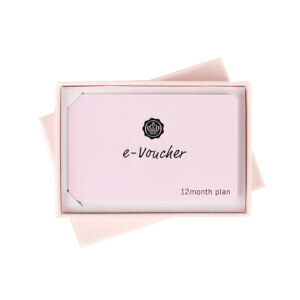 A GLOSSYBOX eGIFT Voucheris the perfect solution, and it's delivered to your inbox in seconds. Choose a 3, 6 or 12 month subscription (delivery is included) starting from $69. Each GLOSSYBOX they receive will be hand-wrapped and filled with 5 amazing beauty products they’ll absolutely love!